Hello friends in rock! 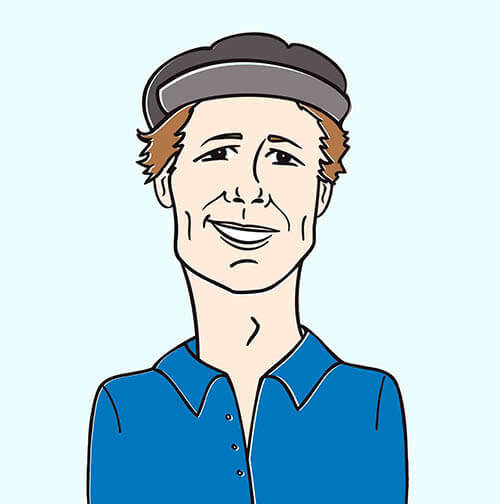 It’s Andy Gesner and the staff from HIP Video Promo, here with the latest video from an undisputed musical heavyweight. Morrissey is one of the few figures in contemporary pop who needs no introduction – if you listen to music at all, you’re hearing his influence. His cadences, his microphone presence, his distinctive yearning delivery, his pith, and his black humor have been approximated by thousands upon thousands of other writers (some of whom have become quite famous doing so!) And although he’s been imitated time and again, he’s never been surpassed. If it’s keen observations, stinging wit, quotability, and dazzling pop poetry that you want, you’re well-advised to go straight to the source. After a quiet start to the decade, Morrissey came roaring back in 2004 with the scalding You Are The Quarry. In so doing, the living legend broke a seven-year silence with a bang: the songs on Quarry were as topical, angry, and confrontational as anything he’d ever written. The Tony Visconti-produced follow-up – the gorgeous Ringleader Of The Tormentors – felt, initially, gentler; subsequent listens revealed its subtle intensity. Now comes Years Of Refusal, a fresh set that promises more savage wordplay, more unforgettable choruses, and more balms for the sick and lonely-hearted. He’s hinted that this album may be his last; if so, you know he won’t pass up the opportunity to close his storied career with a bravura finale. Economy has always been one of the singer’s strengths – each word weighed carefully for necessity, and then deployed for maximum impact. “I’m Throwing My Arms Around Paris” is, like many of Morrissey’s best songs, quick and pointed: having given up on the prospect of interpersonal relationships, the singer has decided to embrace the “stone and steel” of the French capital. The performance is, as always, passionate, dramatic, and wholly engrossing; Morrissey proves once again willing to sing his heart out. An accusation, a belligerent statement of purpose, and an upbeat rocker all at once, “I’m Throwing My Arms Around Paris” takes its place in the long line of unforgettable Morrissey singles. Devoted fans know the Moz is also a magnificent stage performer – one of the few contemporary entertainers who can hold an arena-sized crowd spellbound through the sheer force of his personal magnetism. Morrissey and his band will be touring across America this spring; then, to commemorate the singer’s 50th birthday in late May, they’ll return to Manchester for a gig that’s sure to be historic. 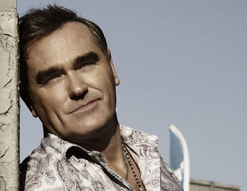 Since he’s such a showy, dynamic singer, Morrissey favors performance clips, and the “I’m Throwing My Arms Around Paris” video demonstrates his ease fronting a rock band. Shot on a white soundstage, the singer and the group look relaxed and confident; in fact, there’s even a pair of pugnacious little pooches wandering around the set. So comfortable are the musicians that the drummer even executes a casual flying leap over his kit. But it’s Morrissey who steals the show, arms outstretched and gesticulating, aflame with love for the city that has always welcomed hopeless romantics. Enormous thanks to Retta Harvey Hatfield and the good folks at Lost Highway for bringing us on board to bring you the new video from this musical titan. We are here to hook you up any way we can to help assure that you support this new video, so drop us a line! If you need more info, call Andy Gesner at 732-613-1779 or e-mail us at HIPVideo@aol.com. You can also visit www.LostHighwayRecords.com or www.ItsMorrisseysWorld.com to find out more about Morrissey.